Tell us what you want and our development team will bring the exact complement of expertise you need. 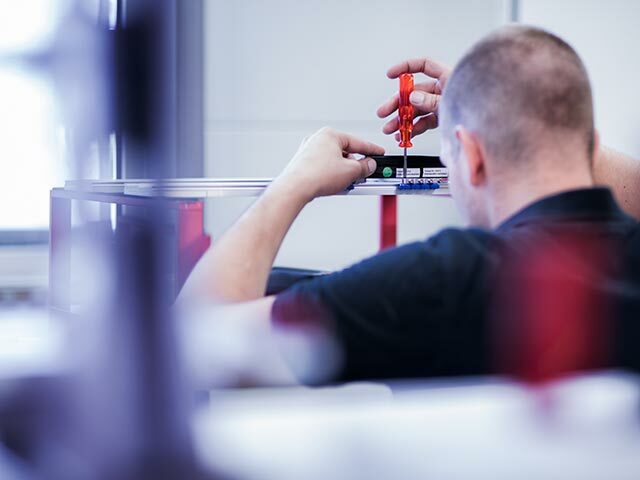 With your custom Tecan-developed components, subassemblies, and systems, our reputation for quality becomes your own. Excellence is embedded in everything we do for you. Our development engineers design, prototype, test, and build each custom OEM product to the same high-quality standards that define all Tecan products. Our unrelenting commitment to quality gives you confidence that the products we develop for you will perform to your most stringent specifications. For each custom development project, we assemble our experts across a wide range of engineering disciplines. We see ourselves as an extension of your team, and a complement to your skills. As we work together to develop products to your unique specifications, our expertise in components, instrumentations, and systems becomes yours. Sometimes our projects involve a different way of developing. When you need additional development capacity for any size project, enhance your capacity and skill set with a Tecan engineering team customized for your project.